Malaysia is a rising star in the traveling scene: From bustling metropolis to quaint old towns, endless sandy beaches to impenetrable jungles, action & adventure to exquisite culture – Malaysia has it all. Add to that great food, an efficient (and relatively modern) public transport infrastructure, and a catchy tourism campaign. Malaysia Truly Asia! It’s only a question of time before Malaysia will be challenging Southeast Asia travel staples like Thailand and Bali. Now that you know you want to travel Malaysia, to get you started on your planning, here are a few things I’ve learned, and that will make your trip even better. 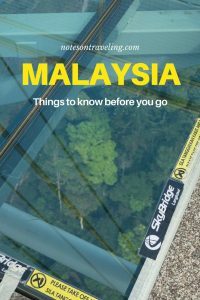 For anyone looking for more photos and in-depth guides: Please check on this overview page with all my Malaysia guides (I’m also linking to individual posts in the text below). Visa – Malaysia says Welcome! Before visiting the country, I had thought that Malaysia was that long stretch of land South of Thailand, except for the tiny country Singapore at the Southern tip. But Malaysia is more than just Malaya (the Malay peninsula). At a total of more than 330,000 m², Malaysia has about the same size as Vietnam or Norway. In the West of Malaya lies the Langkawi atoll, basically an extension of your favorite Thailand islands. In the East, there are the Perhentian Islands and Tioman, not huge but worth a visit. And further offshore to the South, Malaysia shares Borneo island – after all the world’s third-largest island – with Indonesia and the Sultanate of Brunei. BTW, in case you are wondering: Singapore used to be a part of the Malaysia Federation but was kicked out in the 1960s. Like many other countries all over the globe, Malaysia began as an association of smaller kingdoms, later in the 14th century, after Islam was established in Malaysia, called Sultanates. There was an eager exchange with the Siamese Kingdom – today Thailand – in the North, the islands that today form Indonesia in the South, India in the Northwest, and, even further West, the Middle East. In 1511 – and I remember the number as it’s quite prominent in the city – the Portuguese conquered Melaka to establish the first European roots in Malaysia. However, the rest of the land continued to be ruled by powerful Sultans who used the influx of European traders to build considerable wealth. The Portuguese were ousted by the Dutch East India Company in 1641. The Dutch continued to foster profitable relations with the Sultans in tin- and mineral-rich states like Johor and Perak. In the course of the 19th century until the early 20th century, the British Empire gained more and more influence in the Sultans’ courts and effectively ruled the country until the mid-20th century. Since the British – like the Portuguese and the Dutch before them – considered Malaysia more of an economic investment that should supply the Empire with tin, gold, and agricultural products, they required more labor than the Malay population could provide. 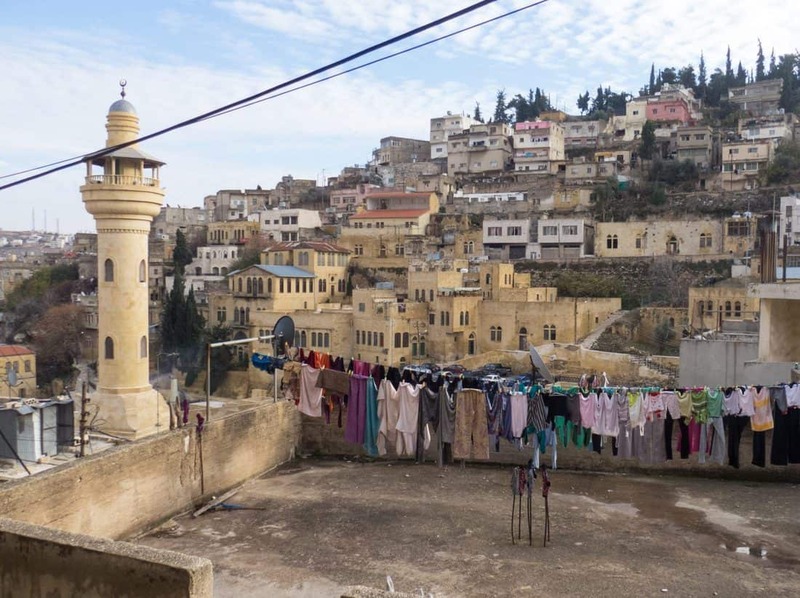 Thus they invited Chinese and Indian laborers into the Sultanates. They worked in the mines, and on the rubber and palm oil plantations. But through their tight-knit networks and business smarts, the immigrant worker themselves soon became successful business owners. During World War II, Japan conquered and occupied most of Malaysia – from Borneo to Malaya (the Malay peninsula). When Japan lost the war, they also lost control over their Southeast Asian territories. The British rulers returned. But a movement had been set in motion that led to formal independence in 1957 and the formation of the Federation of Malaya, which together with the Northeastern part of Borneo island formed Malaysia. In 1965, city-state Singapore was expelled from the Federation to become its own country. Since the 1990s, Malaysia has seen significant economic development as one of Asia’s Tiger States. In addition to plantations and mining, information service industries, banking, and tourism have become essential parts of the Malaysian economy. If I had to describe Malaysians in one word it would have to be cosmopolitan. Most people I encountered on my travels in Malaysia were relaxed, respectful, and open-minded. And while this country is far from perfect, for example, a section of the population called Bumiputra – mainly ethnic Malay Muslims – enjoys rights and government support that is not granted to most people of Chinese or Indian heritage, “Strength in diversity” is the national motto and Christmas and Chinese New Year are as much national holidays as Prophet Mohammed’s birthday. Bahasa (Malay) is the primary language, but the respective communities also speak Chinese, Tamil (Indian), etc. English seems to be the language that unites them. So it’s no surprise that many Malays speak English well. Muslims form the largest religious group (with 61%) in Malaysia. However, considering that 20% are Buddhists, 9% are Christians, and 6% are Hindus walking through cities like George Town, Penang you’ll often hear church bells, the Imam’s call to prayer, Buddhist chants, and Hindu prayer bells within a few steps of each other. In the past years, the federal government and the heads of the Malay regions (Sultanates) are undertaking conscious efforts to counter the emergence of religious radicalization by stressing the common roots of Malaysians. Continuing on the diversity-and-economic-rise theme, Malaysia offers a generous visa-waiver program, giving most nationalities between 14 days and 90 days in the country without having to worry about obtaining a visa. The official currency of Malaysia is the Malaysian Ringgit (in the tradition of Bahasa words sounding familiar but looking completely different than what you’d expect, the Sen is 1/100th of a Ringgit). The exchange rate at the time of writing is roughly 5 Ringgit to the Euro and 4 Ringgit to the US-Dollar (click here to check the current exchange rate on Oanda). Occasionally, you’ll find tourist activities or accommodation quoted in US-Dollars, but in three months on the Malaysian peninsula, I haven’t seen a single instance where USD would have been the preferred payment method. ATMs and money changers are easily found all over the country. Rather than traveling with a lot of cash, I recommend getting a credit card with low or no withdrawal fees from your bank and using ATMs as you go (if you’re German, check comdirect’s offers – I’ve been using them for the past five years and am very happy). Malaysia is a shopping haven – be it in the sheer endless number of malls in Kuala Lumpur (don’t forget to claim your tax back on larger buys), the local markets that rival the iconic Thai markets in choice and prices, or tax-free shopping on Langkawi. On a personal note, looking for some specific quality/brand items like replacement brushes for my electric toothbrush or a Nalgene drinking bottle, I found the choice in Kuala Lumpur much better than Bangkok. Malaysia offers the full spectrum of accommodations: from cheap (think $4/bed and night) hostels and guesthouses (starting at $10/room and night) to fancy several-hundred-dollars-per-night resorts. 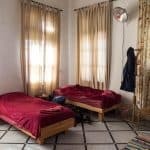 I went for mid-range hostels and guesthouses for $15/room and night and found the quality/cleanliness/service to generally be good or excellent. Air condition isn’t always available/included in the room rate. So make sure you check before booking. Inclusive breakfast tends to be simple with toast, jam/butter, and local fruit plus coffee and tea. More and more accommodations in Malaysia also offer free filtered water for their guests to curb the rampant use of plastic bottles. 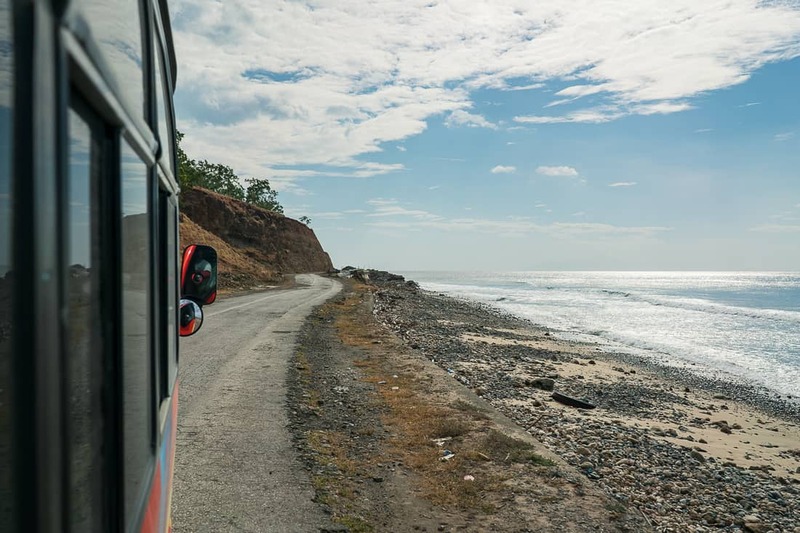 With cheap transport in the form of public transportation and Grab/Uber/taxi rides readily available; you can opt for a less central accommodation location, which will usually offer more peace and quiet (and lower rates). Kuala Lumpur: BackHome Hostel – One of my favorite hostels ever and my go-to when I’m in Kuala Lumpur. Their focus is on delivering a “service like home” with clean and spacious rooms, plenty of common space, free coffee/tea, and super-approachable (as well as knowledgeable staff). The hostel is centrally located in a converted storage/shop-house between Chinatown and Little India. The team pretty much gave me a perfect Malaysia itinerary on my first day in the country. BackHome has different dorm options plus a few doubles (all with shared bathrooms). Click here for the BackHome Kuala Lumpur Booking.com listing. Penang: The Frame Guesthouse – This hostel is right next to the street food on Chulia Street; the style is combining clean minimalism with a 100-year old former Chinese shop-house. Though customer care isn’t as amazing as at the BackHome, the beds are super comfortable, and the staff is keeping everything clean, has tons of advice to share, and even hands out the occasional free snack. Dorms and private rooms are available. Click here for the Booking.com listing for The Frame Guesthouse. Langkawi: The Soluna Guest House – I stayed here for seven weeks. Do I need to say more? 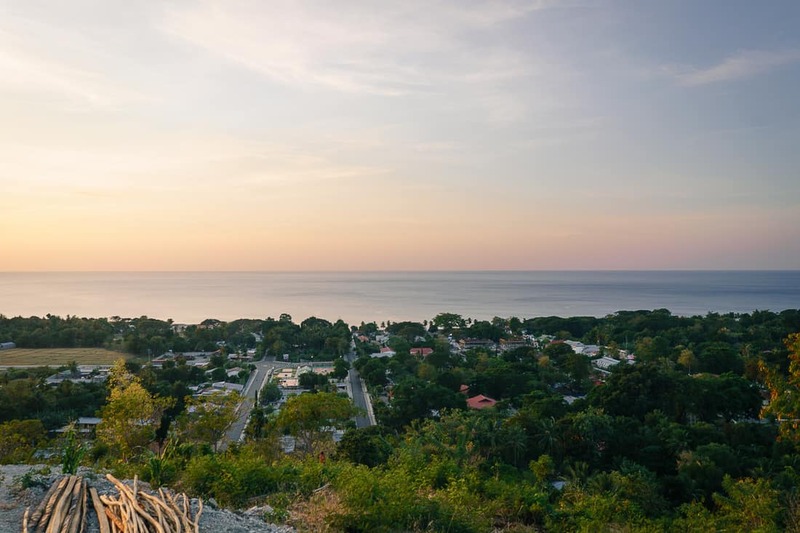 The location is super-convenient, the staff is fantastic, and the rooms are just what a traveler needs: very clean, simple, spacious, affordable. Oh, and they have lots of lovely cats (though preferably not in the rooms). 11 double rooms (some ensuite) and one mixed dorm. Click here for the Soluna Guest House listing on Booking.com. BiGBonus plans (click here to have a look). Shops selling SIMs are easily found all over the country, and you can reload your pre-paid balance in most minimarkets. Traveling through the country, it seems like all Malaysians are foodies. The local cuisine is a mix of distinctly Malay (see Nasi Lemak), Chinese/Nyonya (influenced) dishes like noodle soup or Kuay Teow, and Indian dishes like Roti Cenai or curries. Malays are also crazy about coffee (kopi) and tea ( te). However, neither is of connoisseur quality, and you’ll usually be served granular coffee/tea from a 3-in-1 sachet that includes milk and plenty of sugar. South-Korea-inspired dessert cafés are the latest fad in the country. Here, you’ll get specialty coffees and often also quality teas. More importantly, however, are the eye-popping dessert creations from waffle-muffin hybrids to freakshakes to homemade ice creams. Click here for my foodie guide through Penang, the epicenter of Malaysian food. Malaysia has an excellent public transport system with buses, trains, ferries, local airports & budget airlines, and taxis/rideshare offers. The Western route runs up to the Thai border (where you can catch a train to Bangkok), passing Kuala Lumpur, Ipoh (for Cameron Highlands) and Penang (Butterworth station). The Eastern route (also known as Jungle Line) cuts across the country and ends just shy of the Thai border in Tumpat (if you want to cross into Thailand via Khota Baru, take the Jungle Line up to Pasir Mas and catch a bus to the border). Mainland Malaysia trains are relatively modern and come with comfy, cushioned seats and air-conditioning. Note, that on some trains, the third and fourth wagon are women-only. There is no catering on board (and there are no hawkers) – bring supplies for longer journeys. On Borneo, the state of Sabah (in the North) runs a single line, also called Jungle Line, between Tanjung Aru and Tenom. Buses are available both locally with urban and suburban bus networks as well as on a national level. Just head to the local bus station and get your ticket (or check below for booking websites). While some cities/bus stations have the typical separate booths for each company, requiring you to shop around for the best offer and the most convenient departure time, Kuala Lumpur’s central bus station TBS in Bandar Tasek Selatan has a unified booking system. Note that most buses are very cold. The aircon tends to run on max, and you’d do well to bring a sweater and socks. Read my Langkawi guide for more info on ferry connections to and from the island. The Perhentians in the Northeast of Malay peninsula can only be reached by boat/ferry from Kuala Besut. However, note that ferry connections can be interrupted during the primary rainy season for Western Malaya between November and February. The main connection to Tioman Island in the Southeast of Malaysia is also by ferry (from Mersing or Tanjung Gemok). There is an airport, but it hasn’t seen any commercial airplanes since 2014. Unfortunately, there are currently no ferries between the Malay peninsula and Borneo. Use the cheap flights to Borneo’s main cities Kuching (in the Southwest) and Kota Kinabalu aka KK (in the Northeast) instead. Uber-cheap Asian airline AirAsia hails from Kuala Lumpur and subsequently offers a broad range of connections, both international and within Malaysia. I flew for $70 from Myanmar. I spent $20 (including checked baggage) on a flight from Kuala Lumpur to Langkawi. I flew for less than $200 return (on a semi-flexible ticket) to Sri Lanka. 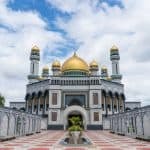 I flew for less than $80 return to Brunei. Beyond AirAsia’s cheap flights, Kuala Lumpur’s KLIA airport is a major hub for international air travel. If you find yourself on a layover in KLIA, consider making use of Malaysia’s generous visa rules, hop on the $3 airport connect bus into downtown KL and go exploring! All three of them – taxis, Uber, and Grab cars – are readily available all over the country. I have found Grab – the Southeast Asian version of Uber – to be the most reliable and often cheapest option (unless you catch an Uber at the right time). Malaysia is fairly conservative. Outside the beaches and Kuala Lumpur, you’ll be hard-pressed to find women revealing their knees or bust. While people are also extremely tolerant, you want to show some respect and bring flowing skirts and trousers as well as shirts or tunics (gentlemen, you also want to leave the wife-beaters at home) and reserve the bikini for the beach. 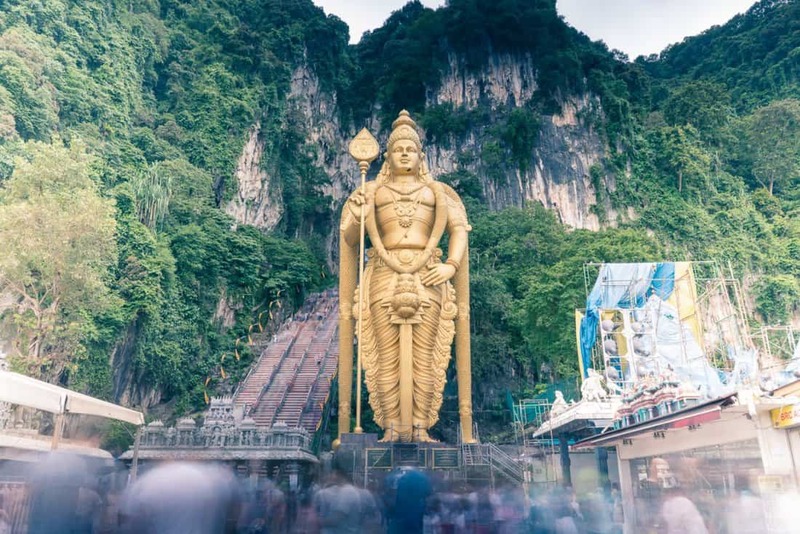 If you are planning on cultural sightseeing, ladies need to cover knees, shoulders, and bust as many of the sights are of religious nature (for example, at Kuala Lumpur’s famed Batu Caves). Since the country seems to shift between scorching sun and rain showers endlessly, the umbrella becomes an everyday companion. Bring a sweater and socks for bus rides, and an extra sweater for chilly nights in the Cameron Highlands. The usual travel supplies such as sunscreen, mosquito repellent, deodorant, etc. are readily available in any city or in rural areas where you find tourists. If you’re traveling environmentally conscious, bring your water bottle and refill them either at your accommodation or filter water machines dotted around many residential areas. Arrive in Kuala Lumpur, hop straight on the next flight to Langkawi. Spend about 3 days in Langkawi, hop on the ferry to Penang and George Town. Spend 2 days in Penang and catch the bus to Ipoh. Spend 2 days exploring the former mining town Ipoh and then head further inland to Tanah Rata and Cameron Highlands. You can stay in Tanah Rata and do day trips, or you spend the next 3 nights in different guesthouses while you explore tea plantations and go trekking into the jungle. Pass by KL and go straight to Melaka for 1 night. Spend the remaining 2 days in Kuala Lumpur. If you’re in Malaysia between March and October, head on over to the Perhentian Islands for a few days of remote island life without roads and sometimes even without internet and electricity. Arrive in Kuching and explore another bustling Nyonya metropolis. Head up the coast of Sarawak to Miri and Gunung Mulu National Park with its giant caves and bizarre jagged rock formations sticking up among the jungle. Spend a day or two in the tiny country of Brunei before hopping onto the boat to Labuan island and on to Kota Kinabalu (KK) in Sabah, where you can climb Gulung (Mount) Kinabalu, Malaysia’s highest peak at just over 4,000m. 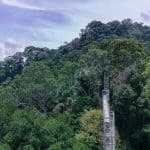 Since Sabah is one of the wildest regions of Malaysia (and Borneo), here’s your best chance to see Orangutans and Borneo pygmy elephants in the wild, for example in Danum Valley, Tabin, or in the forest sanctuaries along Kinabatangan River. Finally, as always there’s the option to book set tours. 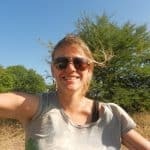 These tours are great for solo travelers who want to go exploring in company, and convenient if you don’t want to deal with the hassle of finding transport or a guide. 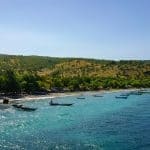 The spontaneous can book their tours in most accommodations, tourist offices, or from vendors in the main tourist spots. For anyone else, I recommend Get Your Guide for the ease of booking, the verified reviews, and prices that are not too far off from what you’d pay on the ground. Oh, and they also sell tickets to favorite attractions such as the Petronas Twin Towers Observation Deck or Langkawi’s SkyCab. Great, comprehensive take on Malaysia! As a Malaysian, I’m biased but I’m proud that two home-grown brands – AirAsia & Grab are helping to connect travelers in Southeast Asia. Such a nice post with amazing info about Malaysia. Malaysia is one of the most amazing Southeast Asian country and most of people love to make their trip of Malaysia. So this post it really good to know more Malaysia. one of my fav destination for tour, even next month we all going to malaysia tour. This article will help us to travel better in malaysia. And want to enjoy like you. Thanks for sharing good trip experience. 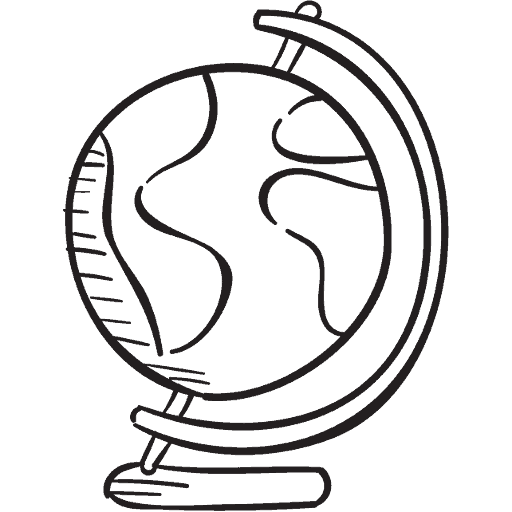 Informative guide about a rising star in the traveling scene. Thanks for sharing your experience!